A user-friendly control system boasts advanced features such as a timer, pre-heat and auto-start options. Canadian Spa Company saunas come with a 1 year manufacturer's warranty. Please call 1-877-347-7727 for more details. Whistler 4 Person Far Infrared Sauna Take advantage of the numerous health benefits that the latest infrared sauna technology has to offer right in the comfort of your own home. Regular usage of our 4-person FIR Sauna will help remove toxins from your body, improve the look and feel of your skin, aid in weight-loss, help relieve body aches and muscle pain, and much more! 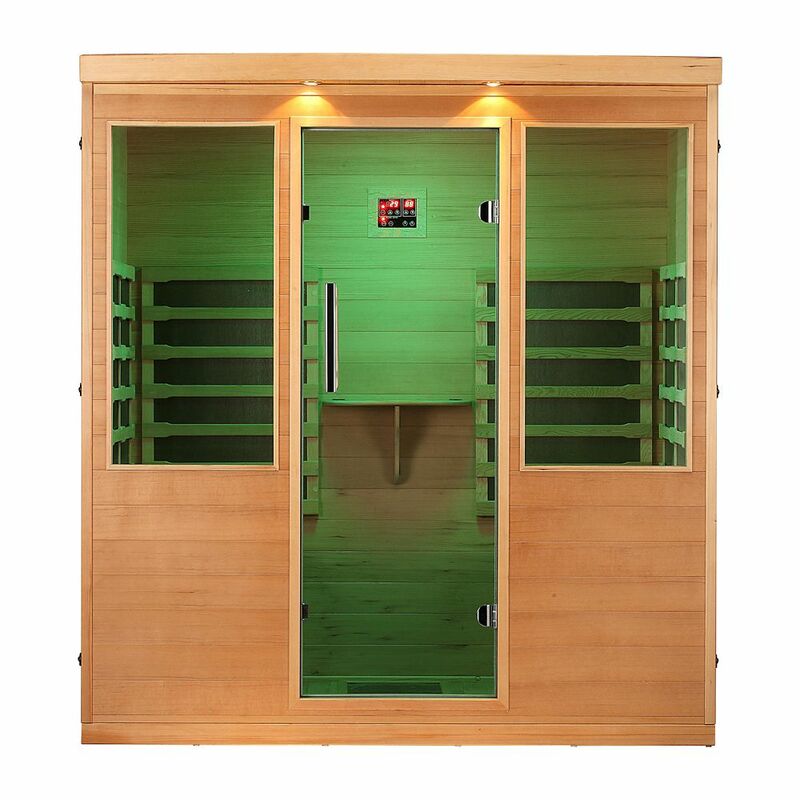 This sauna is equipped with a simple yet advanced digital control system, Bluetooth Audio System, LED Chromotherapy Lighting, and an aromatherapy system. 12 Far Infrared Carbon Heaters work to ensure that heat is distributed quickly and evenly to help achieve the maximum benefits of a full body sauna treatment while keeping energy costs low. Two benches provide enough space for you and your friends to sit comfortably in one space. A natural Canadian hemlock wood construction adds a calm, earthy feel that will complement any dicor, while dual-wall construction ensures that your sauna is well insulated.